The NFL announced the finalists to host the 2019 or 2020 NFL Draft this week. The finalists are Cleveland/Canton, Denver, Kansas City, Tennessee and Las Vegas. The winning city to host those events will be announced at the Spring League Meeting in May. Any winning city cannot host the draft in both years. Four of the above cities are home to NFL franchises. Canton is the home of the Pro Football Hall of Fame. Las Vegas will become the home of the Oakland Raiders who will move and start there for the start of the NFL 2020 season. 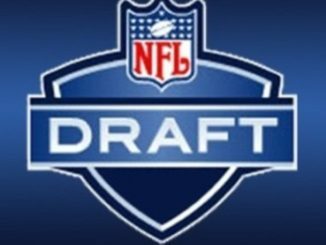 The upcoming NFL Draft will take place April 26-28 and will be held at AT&T Stadium in Arlington, Texas. The draft was held in New York City from 1965 through 2014, mainly at Madison Square Garden and Radio City Hall. Since 2015, the league decided to moved the three day event to different NFL locations around from year to year, holding the annual event in Chicago in two seasons and Philadelphia for one year last spring.